A stunning and well-arranged studio flat with 24 hour concierge, located within the desirable Ram Quarter development near Wandsworth Town station and Southside Shopping Centre. Presented in immaculate condition throughout, this attractive studio apartment, set within the brand new Ram Quarter development, would make the ideal home for a single professional. It comprises a good-sized kitchen area with room for dining, a sleeping area with a double bed, a further study area and a large, modern bathroom. 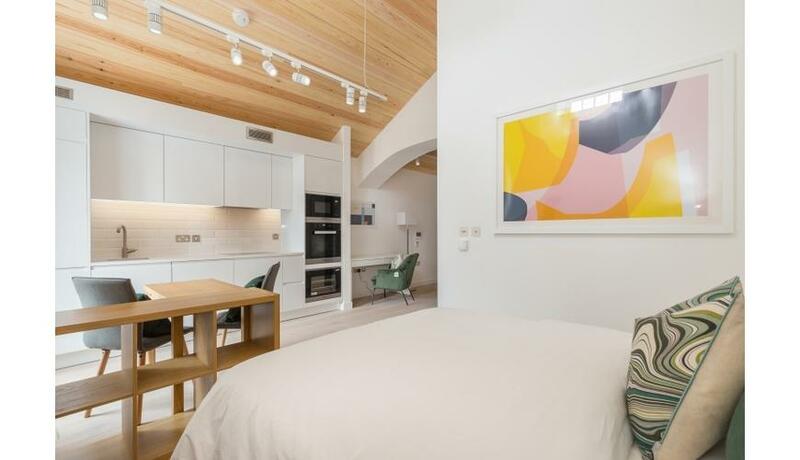 The property additionally benefits from 24 hour concierge and is conveniently located for access to Wandsworth Town and East Putney stations, as well as the shops, restaurants and cinema complex at Southside Shopping Centre.